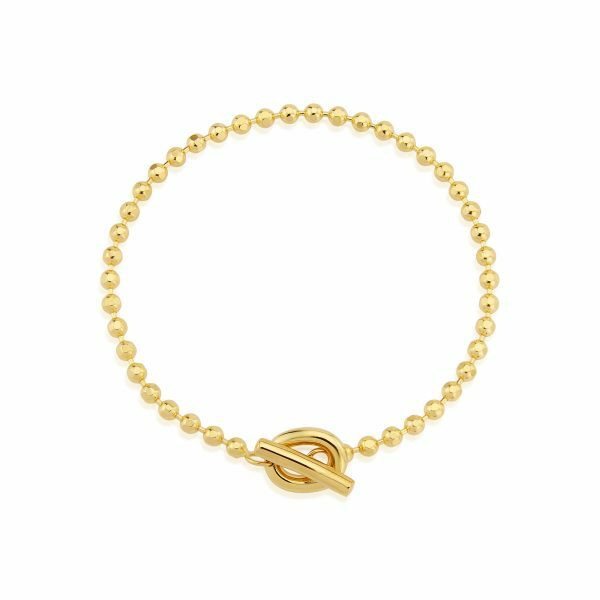 Yellow gold beaded bracelet with a curvy T-Bar Clasp. Suitable for adding any of our charms. 14ct yellow gold vermeil, length 19cm.